To Eat or Not To Eat? That is the question… | What's In Your Fridge? ← Raising agents… what are they? Ok truth time, virtual hands up if your fridge could use a clean out? Most of us have something in the fridge or cupboard past its best before date or its used by date. But what’s the difference? Is it still safe to eat or should you just throw it away? Keep reading this blog if you want to make the most out of your food. I know I do, food is far too expensive to waste. Best before dates, used by dates… what’s the difference? Simply put used by dates you should pay more attention to than best before dates. 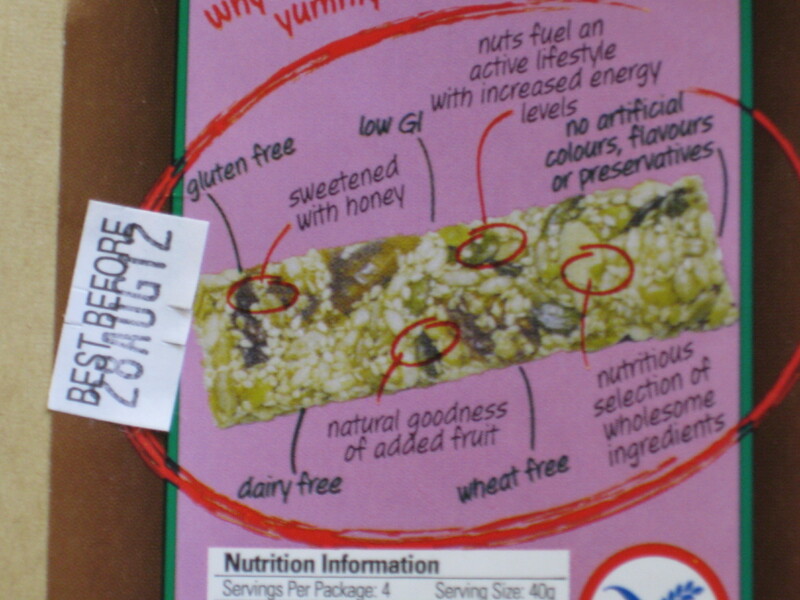 Best before dates indicate foods still safe to eat after the date, provided they are stored correctly and not damaged. It is legal to sell undamaged food after the best before date unlike food with a used by date (which can’t be sold after this date). Used by dates indicate the food is probably unsafe to eat after this date. There are two main reasons for this 1: nutrients in food can become unstable or 2: bacteria (not the good kind) increases on the food. This is especially important for things like eggs that may look fine but may really just be an extended trip to the toilet waiting to happen. Nutrients becoming unstable is an excellent phrase for scary people, but I had to look it up to find out what it really meant. Basically it is a confusing way to say the food doesn’t look, taste or feel like it’s meant too. Bacteria increases on the food, trust me you don’t want that. Truth time, most of our food has micro-organisms (like bacteria) on it, some are fine others aren’t so good. These micro-organisms, if they are the bad ones, are called pathogens. These pathogens are on some food (especially those high in protein like meat, poultry, eggs and diary) and in the correct numbers (called infectious numbers) they can at best give you two way diarrhoeal at worst can be lethal. So how can we avoid these dangerous bacteria? Proper food storage is important, keep cold foods cold and hot foods hot. Keep leftovers (cooked or dried food like flour and pasta) in airtight containers and try not to handle food too much. Food handling is also very important. Cook everything that should be cooked, cooking at 60°C will kill most things. Bacteria also don’t really like soap and warm water so wash your hands and anything you cook with. Simple solutions can save lives and a lot of toilet paper. Don’t believe me, well how about a 30 year expert in food science and technology. Jane Page has worked in a variety of companies in the food industry. For the last 20 years Jane worked as a Technical Manager for Pizza Hutt (she had a lot to do with keeping Pizza Hutt food safe). So don’t take my word for it, have a listen to what Jane has to say on food safety. The simple message to take away from all this information… used by dates are the important ones. After the used by date most foods should be thrown away. Use common sense, if the food doesn’t look right, it probably isn’t. Avoid cans that have been dented or are bulging, meat that smells and is green and dried goods (like flour) that just simple looks wrong. Follow these simple rules and use a bit of common sense and food will be your friend. I think it is an ethical issue about this date issue. I have own judgement whether I should eat the out-of-date food or not always. Of course, I don’t buy if its so but I might eat if its in friedge already. It is a little bit of common sense, if it looks bad then don’t eat it. It also depends on how long out-of-date it is. For example, manufactures usually put a day or so before the actual used-by date knowing people will eat it after the used-by date.